What Should I Look When Choosing the Right Web Host for Me? Many new solopreneurs and beginning marketers feel intimidated when it comes to choosing the right web host. But if you plan on doing business on online, then a domain name and a great web host are essential. These two things will form the foundation of your online business. If you choose a bad host, then that foundation is at risk for crumbling. If you’ve never built a website, then all of the terms might be confusing at first. Think of the process like you were going to start a brick and mortar store. First, you’d find and buy property in a commercial area. In this case, the property is your hosting. But you wouldn’t tell customers to drive until they see your sign. You’d tell them exactly how to come to your store by giving them an address like ‘123 Mulberry Lane’. This is similar to registering a domain name. You tell potential customers to find your products on ‘MulberryLaneCandles.com’. Now, you have the property (hosting) and the address (domain name) so you can build your shop. I wanted to be sure to touch on the different types of web hosting that is available. While you can get more options than what I’m sharing here, these are some of the most common and can help you in choosing the right web host for your blog. Shared hosting means that you are sharing space on a web server with other websites. Often the cheapest way to your website up and running it can also end up being the most frustrating. Being that it’s shared hosting, you want to make sure you website is optimal, secure and running well. This means making sure you maintain and keep your website update. It also means that you’re dependent on how others on your shared server are managing their sites. When you have hundreds if not thousands of other websites using the same web server it means all the memory, bandwidth, processing power are all shared by the websites stored on this server. If one site is behaving badly this can cause your site to be slow loading or worse case not load at all. Most web hosts will do little to help you if you’re having issues with the shared hosting, after all it’s how they make their money. What if you’re the one using too many resources? It’s likely your hosting company will simply shut your site down often with no warning at all. I have my website hosted with a manage WordPress host, WP Engine, and my site has been all the better because of it. What’s the difference between a managed web host and shared web host? A company, like WP Engine, specializes in hosting WordPress sites. Nothing else. No email, no Joomla or Drupal sites, just WordPress. Some of the advantages of having your website on a managed host is you’ll see increased load times, better security built into your website, automated backups of your sites, better uptime & scalability and I think one of the biggest advantage, especially for the tech challenged, is overall better support and assistance. The customer support team is focused on support you and your WordPress website nothing else. For new(ish) bloggers and website owners though, there is some disadvantages though. Most high quality managed WordPress hosts come with a higher price tag and this can be a barrier for entry for many. Here’s my view, initially I was hesitant to sign up for the managed web hosting at WP Engine, but shortly after I did sign up I was telling any one I could tell about their service. In fact, having my website on WP Engine saved me hours of support and trouble shooting time on my site. My site is secure enough with the security settings built into my service that I no longer need a security plugin or a back up plugin on my site. To me, having my website hosted on a managed WordPress server is likely have a technical support team as part of my team for $29/month. Totally worth cost in my opinion. If you’re just starting out going with a high quality shared web host will be enough and choosing the right web host for you that gets you taking action is more important than thinking you need to save up money before you can launch. But if you have the funds and you’re ready to invest then start with the managed web host WP Engine, it will save you time and will provide you with the sense of security to keep your site running well and secure. Now that you understand why you need hosting and how it works, look for a quality and reliable web host. You can use Google or another search engine to help you in choosing the right web host and to find reviews of different hosts. But be careful with this. Sometimes, affiliates of web hosts will post glowing reviews in the hopes that you’ll click their link and they’ll earn a commission. But you’ll be left with a poor quality web host, that has poor customer support and won’t be around to help you. This is especially important if you’re not technically minded and need help from time to time. My website is hosted with WP Engine, it’s a premium web host. 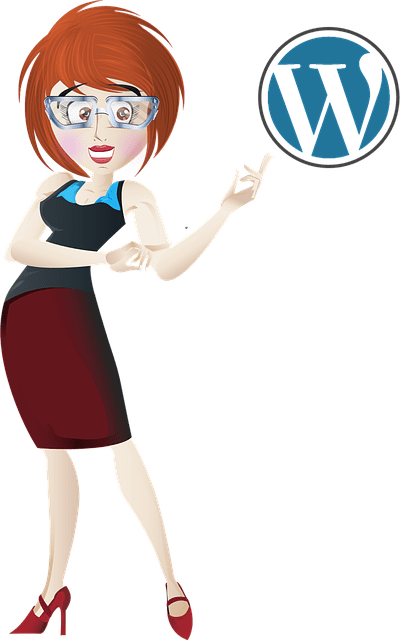 WP Engine focuses only on supporting WordPress websites and as a premium service you also get some great features that a less expensive service may not offer. 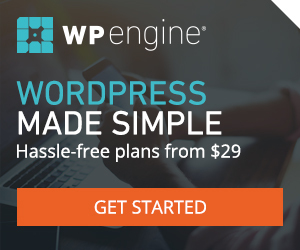 Not only will WP Engine help you get your website set up, they also offer assistance when you get stuck with something technical on your WordPress website. This means you’ll have access to experts that can advise you on how to fix common website problems. One of the first things you should consider when searching for a host is the uptime guarantee. Uptime is the amount of time that the server is online and functional. The industry standard is 99% uptime. However, the host may have scheduled downtime during which they perform maintenance and other tasks. Pay attention to a host’s customer service options. Some web hosts offer 24/7 telephone and chat support. Some hosts have an extensive knowledge base that’s searchable. Customer service may not be a big deal to your right now. But if something goes wrong, you’ll be glad to have it. Remember when choosing the right web host is that most hosting companies aren’t responsible for backups. So if someone hacks your WordPress site and you don’t have a backup, you may lose all of your hard work. This is one of my favorite features of WP Engine. Though, I do download copies of the back-ups often so I have my own copies should anything go wrong. Want to launch your own blog?